In this post, we are sharing a synopsis of HMT. 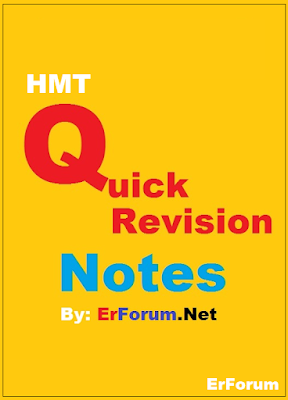 This note is useful for GATE, ESE, PSUs, SSC JE, RRB JE, RRB SSE, and other similar level competitive exams. This keynote is as per GATE and ESE Syllabus of Mechanical Engineering.